Discover the best of Argentina on an 8-day tour from Buenos Aires. Roam the streets of Buenos Aires with a guided city tour followed by dinner and a tango show. 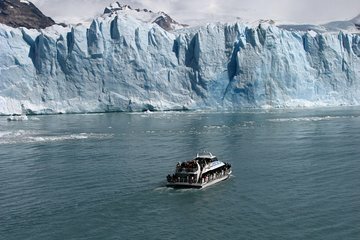 Head south to walk along the massive Perito Moreno Glacier and experience the rugged beauty of Patagonia. End your tour with one of the Natural Wonders of the World, Iguazu Falls, with views from both the Argentinian and Brazilian sides. 3 nights in Buenos Aires, 2 nights in El Calafate, 2 nights in Puerto Iguazu. Brazil requires that most tourists have a visa to visit the Brazilian side of Iguazu Falls. Please check with the Brazilian Consulate to ensure that you have the appropriate visa before traveling or you will not be allowed to enter Brazil. For example- US citizens, Canadians & Australians (as well as other nationalities) need a visa to visit the Brazilian side of Iguazu Falls.